As an omnivore, one way I’ve been trying to expand my culinary horizons is by eating vegetarian, and even vegan. All you vegetarians (or vegetarians by association) will likely have already cooked from a vegetarian or vegan cookbook before; but, if you’re a meat-eater like me, you may have shied away from such plant-only publications in the past. 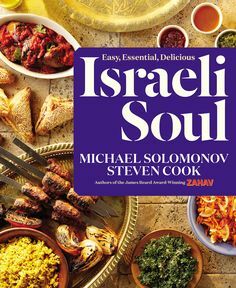 Looking back at my own hesitation to pick up various veggie cookbooks, I find it so silly – after all, I could always have added some chicken or sausage to the dishes! So, this time I eased into veggie fare. 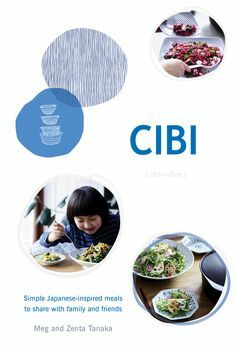 Starting with the first meal of the day, I found a simple breakfast in Good Veg (The Experiment) — from UK chef Alice Hart, who does a good job at making vegetarian dishes easy enough to fold into your regular rotation, and complete in a way that could sustain any extended non-vegetarian family. The Coconut Chia Strawberry Bowl is a great make-ahead breakfast, mainly composed of two ingredients: chia seeds and coconut milk. Chia seeds are a fantastic “superfood” – low in fat, high in fibre and hosts to a micro-party of healthy nutrients. The seeds don’t have much of a taste on their own, so they swell and fill with the flavours you surround them in. Although filed in the chapter “Mornings,” this dish also functions as a summer dessert in the style of tapioca pudding. For a simple midday meal or summer starter, try the Summer Herb Broth with Cannellini and Pistou. The Pistou – a pesto-like paste of almonds, garlic and fresh summer herbs – was delicious spooned and swirled into the soup; however, I was left to my own devices on how to use up any remaining. Without a home garden, so many purchased fresh herbs also posed a challenge of how to use them up while still fresh. 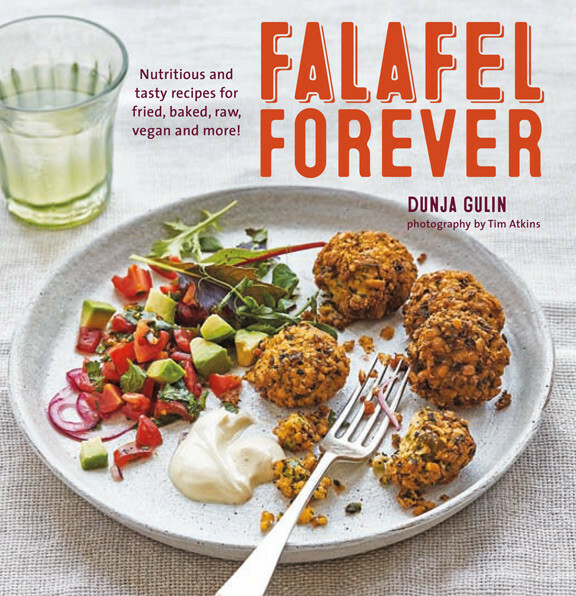 Falafel Forever, by Dunja Glin (Ryland Peters and Small) has myriad options for appetizers, most notably in the “Fried” and “Baked” chapters, with just as many different saucy serving suggestions. 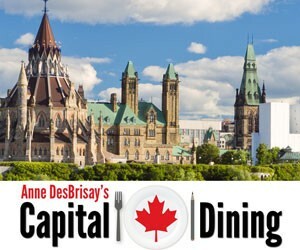 I enjoyed the Greek-Style Falafel Fritters, with a simple Tzatziki Sauce. 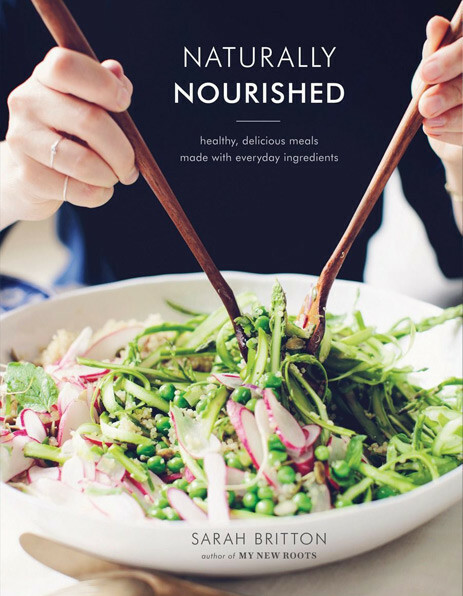 Having been a long-time fan of Sarah Britton’s blog, My New Roots, I decided to jump into the mains of her new cookbook, Naturally Nourished (Appetite). 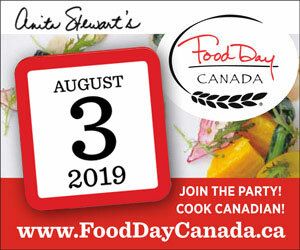 Although this Canadian author studied nutrition, her recipes don’t give any nutritional breakdowns, instead sticking to the cookbook style of keeping numbers for measurements only. 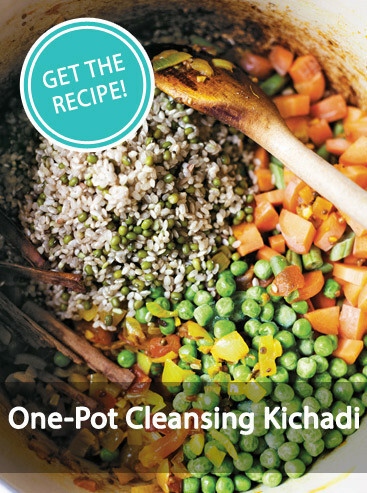 I served the One-Pot Cleansing Kichadi – a fragrant, slightly sweet Indian dish based on rice, lentils and beans – to a gathering with my neighbours who tell me they fought over the leftovers the next day! I enjoyed the “rollover” myself that week with the suggested poached egg. Britton’s book is also a good resource of recipes for anyone following a gluten-free or dairy-free diet. Six Seasons: A New Way With Vegetables (Artisan). 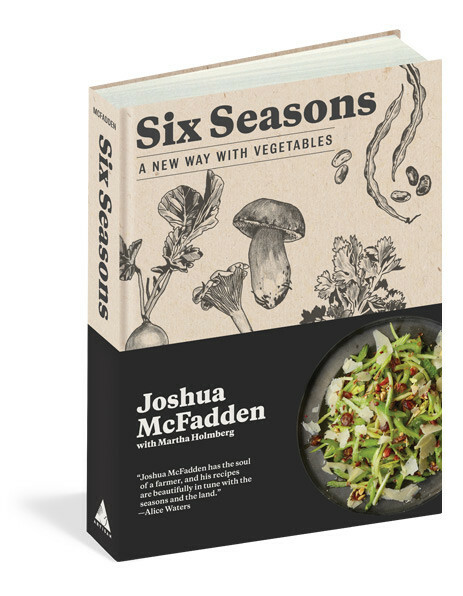 In his first cookbook, American chef and farmer, Joshua McFadden, highlights the evolving attributes of vegetables throughout their growing seasons, extending the very notion of “seasons” beyond four and into six: spring, early summer, midsummer, late summer, fall and winter. 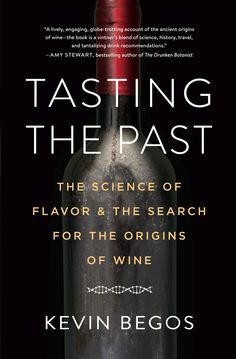 What’s especially nice about this book is you can open it to the seasonal section you find yourself hungry in, and you’re on your way. For midsummer, I tried the Rigatoni with Broccoli and Sausage – Yes, sausage! 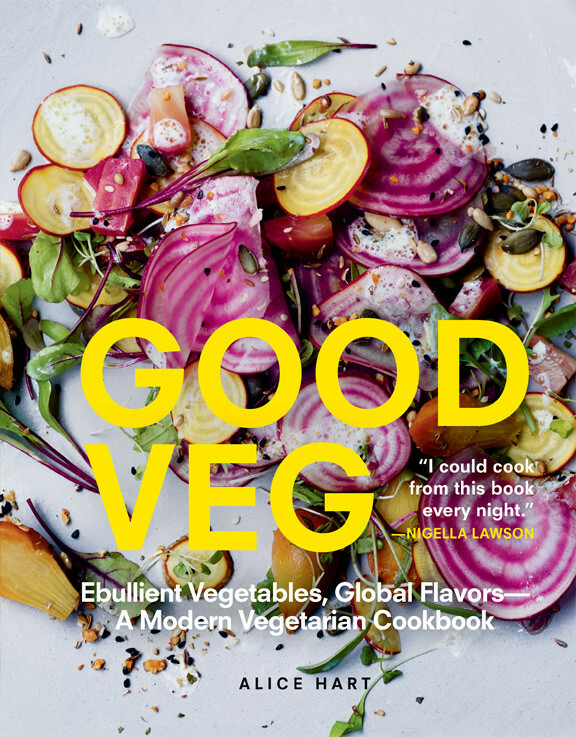 Although the book’s recipes are led by vegetables, McFadden incorporates meats in many dishes. 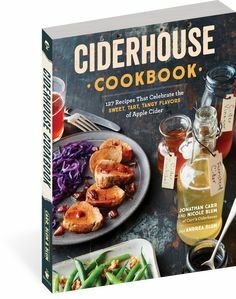 Cooking from just one of his dishes will leave you with an education that lasts, as McFadden’s instructions illustrate techniques that seem impersonal in many other cookbooks. 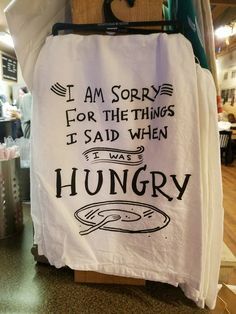 One that stuck with me, for example, was salting boiling water: “…salt until it tastes like the sea.” Why didn’t anybody else tell me that’s how salty it should be? I’ve found that exploring the vegetarian and vegan landscape is very much like trying a new culture’s cuisine. I’ve discovered so many new techniques, ingredients and flavours I never thought of combining before. In a way, like McFadden’s six seasons, I’ve found vegetable-led recipes provide an extension to my repertoire, instead of a limitation.